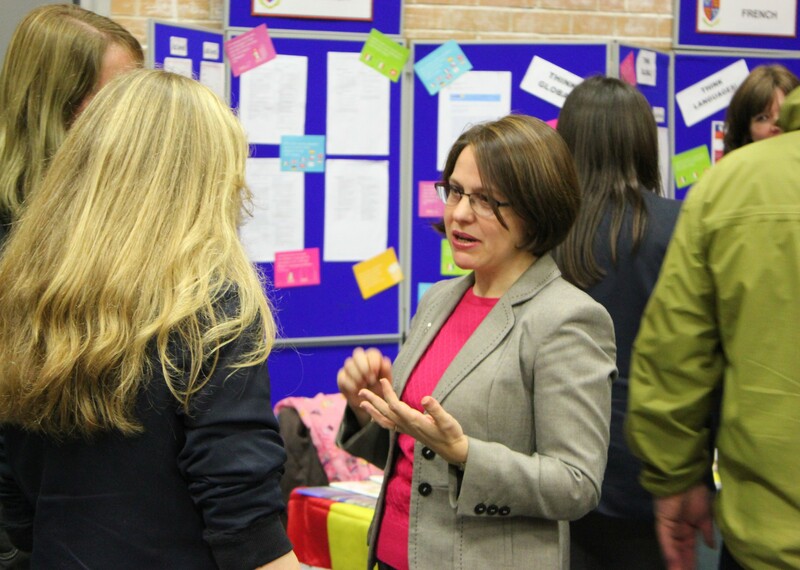 It was great to see a fantastic turn out for the Sixth Form Open Evening last night. As Louth’s only Sixth Form provider we were thrilled to welcome over 300 visitors to the evening and it was good to have a mix of current students as well as external students visit us. Congratulations must go to Mr Aicken, Mr Robertson and Mrs Robinson for all of their organisational efforts plus a special thanks to our amazing Sixth Form Speakers, Kayatre Giritharadas, Tommy Lee-Skudder and Mollie Tunnicliffe. Subject old and new were well represented with a wide range of stalls and students selling their chosen subjects. Our Year 12 and Year 13 students are the best advert for staying here in the Sixth Form and we find those student to student conversations to be the best ones. This year we have continued to broaden our A level offer adding in Business Studies, Theatre Studies, Media Studies, and Sociology as well as reviewing our entry criteria to ensure that it is more inclusive. We are also exploring offering travel bursaries from September 2019 for those who are excluded from attending King Edward’s on the basis of distance and the loss of their free transport status. Many parents were interested in numbers and how many students we have in the Sixth Form with us. What happens every year is that many in Year 11 at this point want a change: it is understandable and the talk is always about looking at alternative options. However each year we retain 80% of our Year 11 group and then get a further 5-10% re-join us in September/October after starting somewhere bigger – this year we welcomed back the usual half a dozen or so from Toll Bar in Waltham, and those from Franklin who were overwhelmed by the size and scale compared to our tighter knit sixth form family. Having said this, parents last night were surprised that King Edward’s is a Sixth Form of around 200 students and continuing to grow thanks to increased interest from external candidates: this year over 10% of our students in Year 12 have come from other schools.